← What is EWG’s Skin Deep? 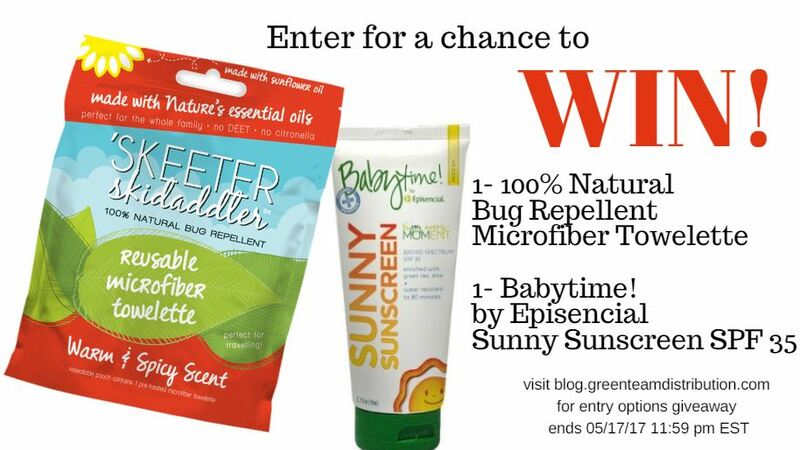 This entry was posted in Blog and tagged bug repellent, episencial, green team giveaways, skeeter skidaddler, sunscreen. Bookmark the permalink. We use natural shampoo, sunscreen, and lotion for my son. We love our Peas in a Pod products, especially the Oh! baby body lotion! We use non scented baby wash for our almost 2 year old. Thanks for the chance! We use coconut oil for a lot of different things around the house.